This show was broadcast on November 7, 2013. 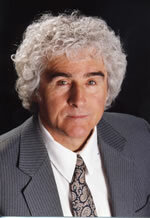 Special 90-minute show with Daniel Sheehan, author of the highly recommended new book The People’s Advocate! Dan Sheehan may be the most accomplished opponent of the criminal “deep state” to have ever taken on the bad guys in the legal arena; at the very least, he’s right up there with Jim Garrison, William Pepper, Mark Lane, Richard Falk, and Francis Boyle on the A-team of the good guys’ legal hall of fame. Daniel Sheehan was a major force behind several of the biggest legal victories for the forces of peace and justice, including the Pentagon Papers case (a 75% victory) and the Karen Silkwood case (in which he won the steepest damage award ever for this kind of case). The Silkwood case wasn’t just about a union activist murdered by the Kerr-McGee nuclear corporation; it involved the theft of large amounts of bomb-grade plutonium by organized crime and its National Security allies, and the dispatch of that plutonium to Israel. In this interview, Dan and I discuss what he sees as the key task facing our country: The forging of an alliance between the 1960s idealist generation and the current millennials to take back America (and the world) from the National Security-addled authoritarians and criminals. This entry was posted on Wednesday, November 6th, 2013 at 4:56 pm	and is filed under 9/11, Anti-War, Censorship-Propaganda, Econo, Freedom, Justice, Kevin Barrett, Mind Control, News, Nuke War - Nukes, Protest. You can follow any responses to this entry through the RSS 2.0 feed.